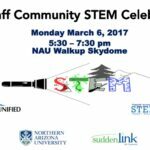 The 5th annual Flagstaff Community STEM Celebration will be held from 5:30 to 7:30 p.m. Monday, March 5 at the NAU J. Walkup Skydome. 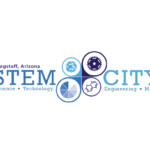 This event is a Celebration of all things STEM in Flagstaff! All 28 Flagstaff K-12 Schools are invited, plus robotics teams and STEM Clubs. 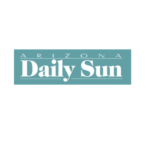 There will be 100+ activities and demonstrations from Coconino Community College, Northern Arizona University and over 60 STEM-related businesses, non-profits, and government agencies. 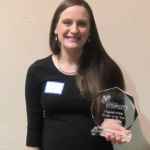 The 5th Annual STEM Awards Night at the Museum of Northern Arizona. We had a full house to celebrate the accomplishments of the student, teacher, and community leader nominees. 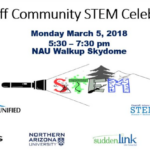 The 4th Annual Flagstaff Community STEM Celebration will take place from 5:30 to 7:30 p.m. Monday, March 6 at the Northern Arizona University J. Walkup Skydome. Congratulations to all the STEM Award nominees!